On behalf of our team, we are excited to work with you to help you become a successful musician. Our metronomes will help you develop rhythm, play accurately and increase your musical awareness. Becoming a better musician is difficult. Many people simply do not have the resources or knowledge it takes to get there. We truly believe that through a combination of hard work, desire and right resources, you can achieve your dream of becoming a successful musician. From freely expressing the way you feel through music to enjoying yourself and entertaining spectators, friends and family, we will help you get to where you want to be. we provide a high-quality and elegant metronome that even children can easily use. The adjustable beat, tempo and high tempo tolerance keeps you on track to playing your music correctly, especially when it gets technically difficult. An average single wind lasts 18 minutes guaranteeing you have more time to practice and less frustration. Our metronome is great for any skill level, including beginners, and useful for practice lessons and exercises at home. It will help you take your skills to the next level and really stand out from the crowd. From thousands of passionate musicians and little ones around the world, we work hard to provide you with an unforgettable experience. What sets us apart from everyone else is superior, elegant product quality and an insanely customer focused team that truly cares about your success and satisfaction. Start laying a strong musical foundation to quickly begin playing your favorite pieces with ease today. Before you purchase, please read over our reviews and customer feedback. When you are ready to succeed, click the buy button to begin your musical journey to success and radically improve your musical skills today. ♪ INCREDIBLE FEATURES: No batteries, average 20 minute wind for longer practice and less frustration, steel gears for durability, 40-208bpm for choosing any tempi, and easily adjustable/optional 0/2/3/4/6 beat bell! The outside is a beautiful plastic, mahogany grain veneer. ♪ THE SEARCH IS OVER: When you order now, you will be protected by our not one, but two year manufacturer’s warranty and world-class customer service! Because we care, as an added bonus, your Tempi metronome comes with an e-book to help propel your success! 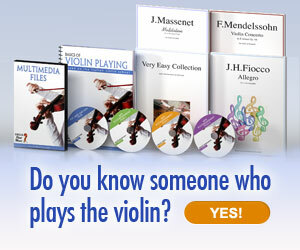 Click add-to-cart now and improve your musical skills today! Be the first to comment on "Tempi Metronome for Musicians"